It is possible to take a road trip from Salt Lake City to San Francisco in just a couple of days if you take the shortest route possible and spend all hours on the road - but where is the fun in that? This itinerary will instead take you through some of the most spectacular locations that the United States (or the world, for that matter) has to offer. The wild world of Las Vegas, the bright lights of Hollywood, the solemn majesty of the Grand Canyon - these are just a few of the amazing things you’ll witness on this great American road trip. Whether you’ve lived in the western United States all your life or are visiting this country for the first time, there’s no way you will come away from this trip unmoved. *Salt Lake City is one of the most popular places to pick up an RV for Burning Man - if your trip coincides with the festival, take the opportunity to experience this radically unique experience. Founded in the 1840’s by Brigham Young and numerous other early members of The Church of Jesus Christ of Latter-day Saints (LDS), this city has had a particularly tumultuous history. It was one of the most populous cities in the American Old West for a while, and was even the centre of a war between the United States and Mormon settlers. Today however the city has left its troubled past behind and is becoming increasingly popular as a winter sports destination - particularly for skiing. And although Salt Lake City is still the centre of the LDS Church, only half of the population are members of the Church today. This modern city welcomes visitors with open arms and provides curious road trippers with many opportunities to delve into both the current attractions of Salt Lake City and its fascinating history. 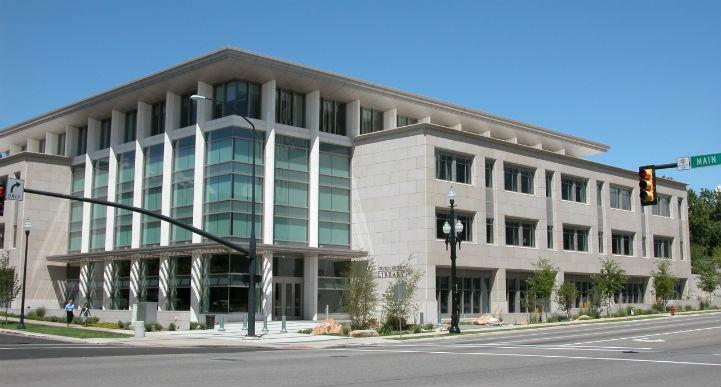 Speaking of history, one of Salt Lake City’s remarkable institutions is the Family History Library. Founded to fulfill one of the basic tenets of the LDS Church (that deceased family members can be baptized by proxy) the Library has since become the place to go for those seeking to trace their family tree and uncover genealogical treasures. This is because since 1938 the Genealogical Society of Utah has been amassing a vast amount of genealogical data from around the world and has made all that data freely available to the public through the Family History Library. If you’re looking to trace your roots and discover remarkable stories about your ancestors there is no better place on earth to go. For a true Salt Lake City cultural experience you’ll want to explore the area around the Library, known as Temple Square, the centre of the LDS religion. Free tours of the grounds are available, and you may even be able to catch a rehearsal or concert of the famous Mormon Tabernacle Choir. If you’re wanting a glimpse inside the Temple itself however you’re likely to be disappointed: only the most pious of Mormons are permitted to enter. It’s well known that the natural landscape around Salt Lake City is remarkably diverse and nothing short of spectacular, but what fewer people know is how it got that way. The story of the land is just as fascinating as that of the people who inhabit it, and the best place to get an insight into this story is the Natural History Museum of Utah. Dedicated to fostering an understanding of science as a journey of discovery and wonder, and showcasing Utah’s unique and extraordinary environments, a visit to this amazing place is a real eye opener for adults and children alike. It’s impossible to talk about Salt Lake City points of interest without mentioning the ski fields to be found within a short drive from the city. Salt Lake City has become a major winter sports destination for both national and international snow seekers, drawn by the abundant snowfall in the Wasatch Mountains east of the city. 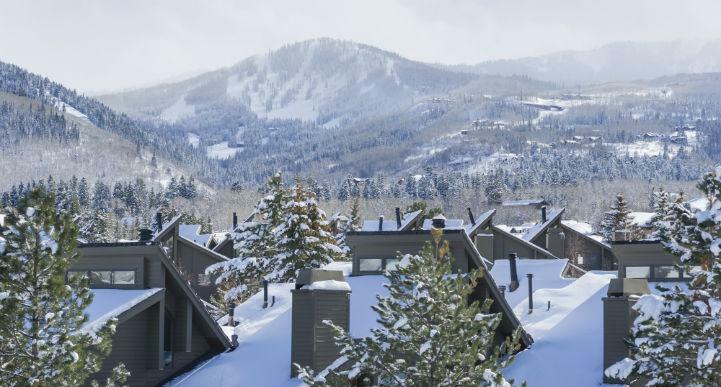 Many of the most popular fields are located in and around Park City, a tourist town that caters to skiers, snowboarders and other winter sports enthusiasts as well as hosting the acclaimed Sundance Film Festival. Deer Valley Resort is a great family friendly ski resort with more than 2,000 acres of skiable terrain, allowing everyone to find a slope that’s perfect for them. But even Deer Valley is outshone by Park City Resort which in 2015 underwent a massive improvement project, linking it with a neighboring resort to create the largest ski area in the United States. These two areas are only a couple of the many ski fields that lie to the east of SLC - if you’re embarking on your motorhome road trip during winter, don’t miss the opportunity to check a few of them out. Before you leave Salt Lake City behind you, there is one more place that you may want to visit. 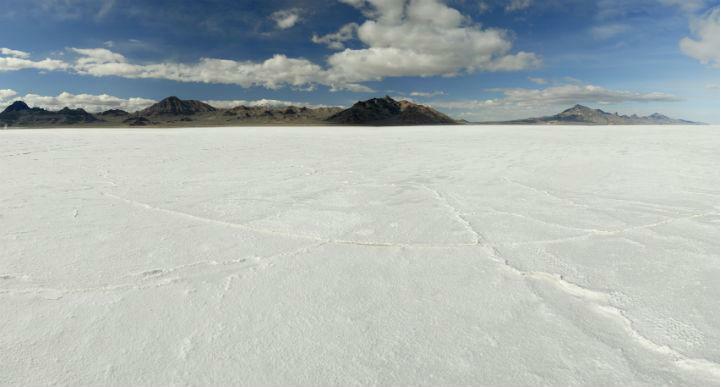 About an hour and a half west of the city along I-80 is the Bonneville Salt Flats. This massive plain of hard-packed salt stretches for 40 square miles, desolate and awe inspiring in its sheer vast barrenness. It may seem like a long way to come just to see some salt, but once you catch sight of the remnants of the Pleistocene Lake Bonneville you’ll understand why so many make the effort. A small town deep in the Utah desert may seem a wildly unlikely place for an Icelandic community but that’s just what you’ll find in Spanish Fork, about an hour south of Salt Lake City. In fact, if you’re passing through in June you may be lucky enough to witness an Iceland Day. Spanish Fork was the first Icelandic settlement in the United States, founded after Icelanders who joined the LDS Church were expelled from their home country. Whether or not you choose to stop here on your way to St George is up to you, but this certainly is a very unique place. Less than two hours down the I-15 from Spanish Fork is Cove Fort, an historical way station for people travelling the Mormon Corridor. It is one of very few forts from the American Old West era still standing, having survived so long thanks to the use of volcanic rock in its walls rather than timber as was much more common during that period. The fort has been remarkably well preserved and the interior is kitted out in authentic Old West fashion. This is a great place to stop on your journey south and get a real taste of what life was like in this unforgiving country before it was even part of the United States. Following the I-15 for another hour or so will bring you to Cedar City. Home to the Southern Utah University, the Utah Shakespeare Festival and the Utah Summer Games, this city is the perfect spot to stop, stretch your legs, grab a bite to eat and fuel up before the final stage of this leg. If you are planning to stop here for a little while, one nearby highlight that’s well worth a visit is the Parowan Gap petroglyphs. Various designs were chiseled into the rock by Native Americans several centuries ago - archeologists debate what exactly they represent, but regardless of their meaning these fascinating links to an unknown past are well worth the 45 minute trip from Cedar City if you’re planning to stick around for a day or two. From Cedar City it’s less than an hour to your final destination for this leg: the city of St George. Not only will this leg of your road trip allow you to explore the attractions of one of the state’s most vibrant cultural centres and descend into a bizarre otherworld of winding canyons, it will also set you on the road to a sight that few tourists ever see: the North Rim of the Grand Canyon. This rapidly growing city lies at the juncture of three distinct geological areas: the Mojave Desert, Colorado Plateau and Great Basin. The hub of southern Utah, St George is known for its thriving arts scene and numerous outdoor adventure opportunities. Although Utah’s deep southwest may not seem like the most likely place to find a lively hub of culture and activity, St George has quite a few surprises in store for those who spend a little bit of time there. Witnessing the red, rugged landscape of Utah from the ground is amazing enough as you’ll soon discover once you set out on your travels, but seeing it from far above is an entirely new experience. The best way to see Utah from the air has to be ballooning. 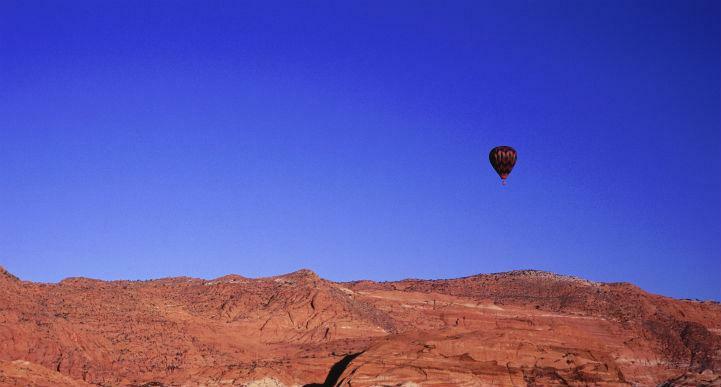 Skywalker Balloons operates out of St George, allowing visitors to soar up to 3000 feet off the ground. Floating above the city of Saint George, Snow Canyon National Park and Zion National Park this experience is a true scenic treat. It’s not that cheap but if you’re willing to splash out on a little scenic luxury then this is a fantastic way to do it. If you’re aching to get out on foot and start exploring southwestern Utah, St George is a brilliant base for your adventures. Many of the greatest nature experiences in the area are in Zion National Park. There are a multitude of hiking opportunities open to you in Zion but for the adventurer looking to immerse themselves in the best of what the Park has to offer, you can’t do better than canyoneering. Hundreds of people every year tread the twisting paths of Zion’s slot canyons, descending into a world that looks utterly unlike any environment on earth. This isn’t limited to experienced adventurers either: Zion’s labyrinths offer paths that are easy to tackle and require no special training as well as routes that require rigorous planning, and immense mental and physical fortitude. One thing is for certain - you’ll never forget your time in these otherworldly canyons. Several different canyoneering outfitters operate out of Springdale, a town almost completely enclosed by Zion National Park, and Paragon Adventures is based out of St George itself. 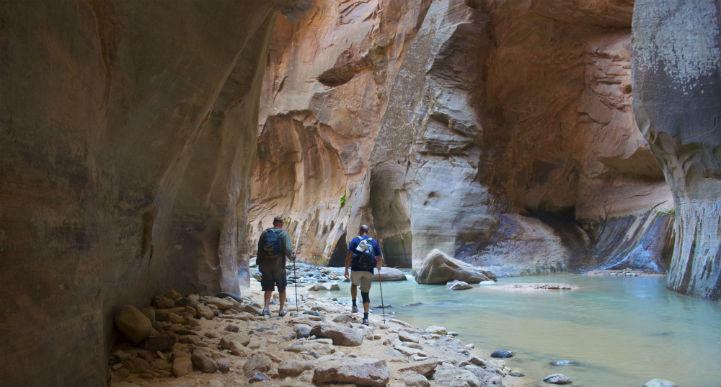 If you have a single outdoorsy bone in your body then Zion canyoneering is a must. 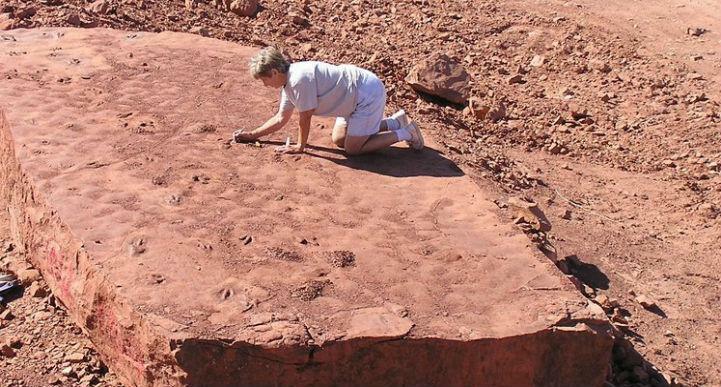 For those who are making this trip with the whole family, the St. George Dinosaur Discovery Site at Johnson Farm will be an essential part of your trip itinerary. Many major museums display dinosaur bones, but the Dinosaur Discovery Site goes several steps further, displaying rare dinosaur remains, remarkably detailed fossils and some of the best examples of dinosaur tracks in the entire world. 200 million years ago this place was an Early Jurassic lakeside, and thousands prints from the dinosaurs that roamed the lake shore in search of a meal have been preserved in sandstone. Not only will a visit to the Discovery Site be a great educational experience, it’s also a chance to get a look at some of the most well preserved dinosaur remnants left in the world. If you’re coming through the city in the springtime, you might be just in time for the St George Arts Festival. The town square in the historic district of St George is transformed in a huge celebration of myriad art forms featuring artists from all around the country and the world. This weekend event is known for featuring consistently excellent artworks and for its special treatment of artists. There’s hardly a person on earth who hasn’t heard of the Grand Canyon. This immense rent in the earth is 446 km long, up to 29 km wide and plunges to a depth of more than 1,800 metres. It is one of the world’s most popular natural attractions - five million people come to this monumental canyon every year. Naturally this means that some of the viewing points turn into a bit of a tourist circus, especially during the busy times of the year, but the North Rim of the Grand Canyon is far less visited due to its remote location. Those who strike out from St George however are perfectly situated to experience the majestic solitude of the North Rim. There’s one important thing to note about visiting the North Rim: the road is only open seasonally, between May 15th and October 15th. Winter weather makes the road unsuitable for travel during the colder months, however that still leaves a pretty wide window of opportunity. If you are travelling outside of that time period and still want to see the Grand Canyon, you can curve around the eastern edge of the canyon to end up at the South Rim. It’s a much longer drive, but you’ll still be on track to head on to Vegas, approaching the city from the southeast as opposed to the northeast. The atmosphere at the North Rim is very different from its more famous southern cousin. 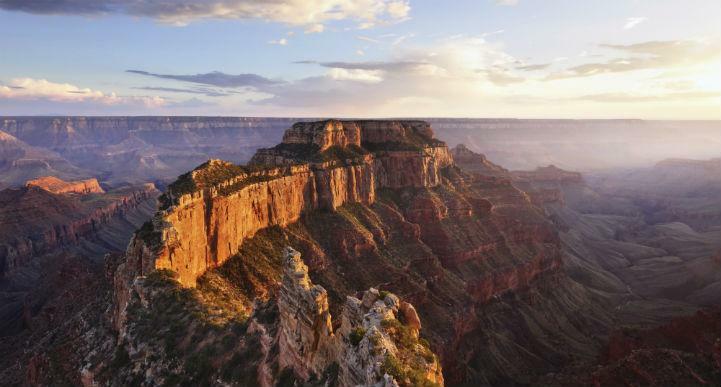 While there’s no bad place to view the Grand Canyon (this is one of the seven wonders of the natural world after all) visiting the North Rim really allows you to get a sense of serene yet spectacularly scenic nature of the American West. The rarefied sub-alpine air, the sense of isolation, the cry of hawks as they soar and circle high above the canyon floor… all these elements combine to create an entirely different experience to the busy bustle of the South Rim. It’s not just the isolation that makes the North Rim special either. The views here are just as magnificent as any other vantage point, if not more so, and there are plenty of opportunities for visitors to get up close to the Grand Canyon. Those who just want to park up and admire the view will find more than enough to keep them happy, but if you care to get a little more active you’ll find that this side of the canyon certainly accommodates those who prefer to strike out on foot (or hoof). Hiking along the rim or even into the canyon itself is popular here - a few of the best viewpoints that require hiking include Cape Final and Uncle Jim Point. Both of these are a mere 6.5 kilometre (4 mile) round trip, easily attainable even if you’re not normally the adventurous sort. Pack a lunch, don some decent footwear and get ready to see the Grand Canyon as few others ever do. 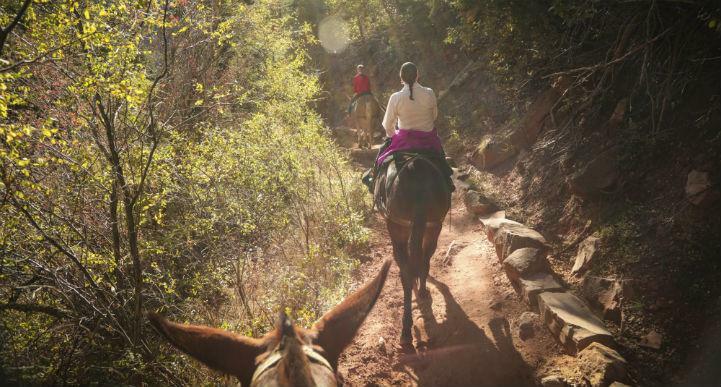 The other popular way of experiencing the Grand Canyon’s North Rim is on the back of a surefooted mule. 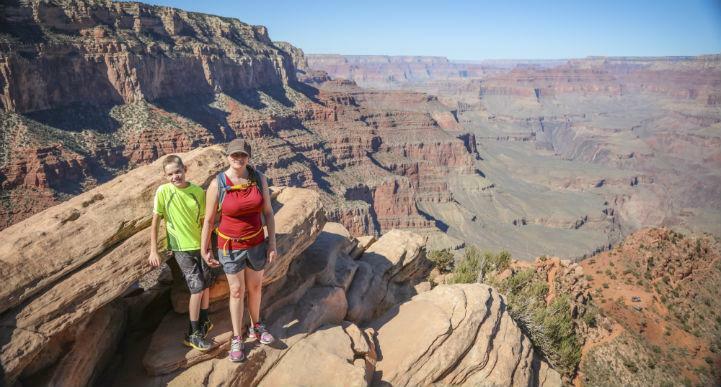 Both one hour and half day trips are available: the one hour option traces along the rim of the canyon but if you opt for a half day trip you can choose between a ride to Uncle Jim Point and a trip to Supai Tunnel, descending into the Grand Canyon itself. For safety reasons there is a 10 year age limit for the half day trips, and a weight limit of 200 lb. for the Supai Tunnel trip. If you have the chance to take a mule ride, this is highly recommended. Making the trip to and from the North Rim in one day is technically possible but it’s not the best way to enjoy this experience. A better option is to stay the night at the North Rim Campground, which offers both tent and RV camping. Make sure to organise a reservation before you set out on your journey as this campground usually fills up. Once you’re ready to leave the scenic wonders of the Grand Canyon behind it will be time to retrace your steps, heading back past St George for a long, beautifully desolate drive through the desert on your way to the entertainment capital of the world: Las Vegas. From the solemn natural beauty of the Grand Canyon to the bright lights and fabulous excesses of Las Vegas - this road trip is undoubtedly one of contrasts and nowhere is that more evident than here. While the Grand Canyon is likely to fill you with awe, wonder and a sense of how small you really are, Las Vegas offers the illusion that none of the rest of the world is real - this fantasy land is only place in existence, the now is all that matters and everything was made to revolve around you. *Those wanting to kick off their trip in the entertainment capital of the world can book a Las Vegas RV rental. This oasis of light and spectacle in the midst of the Mojave Desert has been drawing visitors like moths to a candle since the 1930’s. Vegas has always had a colorful history, from the mobster-run days of illegal “gaming” to the nuclear tests of the 1950’s (advertised as a tourist attraction) to the elaborate modern day mega-casinos. One thing hasn’t changed over the years however: this has always been a place of excess and indulgence, providing visitors with entertainment experiences unavailable anywhere else - and that doesn’t look like it’s about to change any time soon. Las Vegas attractions are numerous and extremely varied, but without the casinos very little else would exist here. These colossal establishments have moved far beyond mere gambling venues to become vast entertainment-focused mini-metropolises. It’s all too easy to spend entire days barely seeing the sun thanks to these venues - in fact, the lack of windows in most Las Vegas casinos contributes to a timeless atmosphere where the outside world ceases to be relevant. Featuring not only gaming facilities but world-class restaurants, magnificent theatres and mind boggling architecture, it’s in the casinos that you realise that Vegas is a city unlike any other. While some may be content to try out their poker face or dabble at the roulette or blackjack tables, checking out the performances at the casino theatres is an experience you won’t soon forget. The array of Las Vegas shows on offer will vary depending on when you choose to visit but no matter when you arrive in this city you’re certain to find a whole array of top-notch performances for you to choose from. In spite of the changing nature of the entertainment line-up here, there are a few shows that are perennial Vegas favourites. Some Las Vegas must see acts include Cirque du Soleil, a mind blowing extravaganza that combines acrobatics, theatre and sheer spectacle, the extraordinarily baffling illusions of David Copperfield and the Blue Man Group, a multifaceted music entertainment experience that has taken the world by storm. There’s more than just adult-focused entertainment in this city though. There are a multitude of things to do in Las Vegas with kids, and the best part is that many of them won’t even cost you a cent. For example, Circus Circus Hotel and Casino puts on the world’s largest permanent circus, performing every day in the Carnival Midway. Mirage’s volcano show comes complete with fire, smoke, fake lava and impressive sound effects. 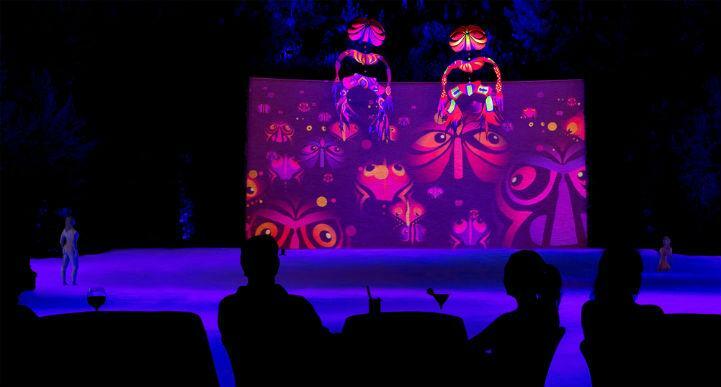 The Lake of Dreams at Wynn Resort is a nightly display of puppetry, lights, music and water that has been hailed as one of the top Las Vegas attractions. All of these are completely free to attend. If you’re willing to shell out a bit of money to keep the kids entertained then your options widen considerably. The Tournament of Kings at Excalibur is an elaborate medieval night out, complete with feasting, jousting and sword fights. The Discovery Children’s Museum features a vibrant array of interactive exhibitions that provide kids with a vast range of playful learning experiences. These are just a few of the family options available to you - this is, after all, the entertainment capital of the world, and not just for adults. There are many, many different RV parks and resorts in Las Vegas ranging from basic to luxury but it’s still wise to book well ahead of time, especially if you’re travelling during the American summer holidays. Moving on from the neon lights and marvellous shows of Las Vegas, you’ll find yourself heading southwest on the I-15 once more, through tiny towns and arid landscapes on your way to L.A. Places of interest are fairly sparse on this particular route but there are a small handful of things worth stopping for, if only to break up the monotony of the drive and stretch your legs every now and again. About an hour and a half out of Vegas you’ll come across the town of Baker. This town would be fairly unremarkable save for the fact that it is home to the world’s largest thermometer. It’s said that its height (134 feet) is a tribute to the highest temperature ever recorded (134 degrees fahrenheit). This was measured in 1913 at nearby Death Valley. Another hour or so down the road is Calico Ghost Town, originally founded as a silver mining town and today functioning as a tourist attraction with mine tours, gold panning and gunfight stunt shows. 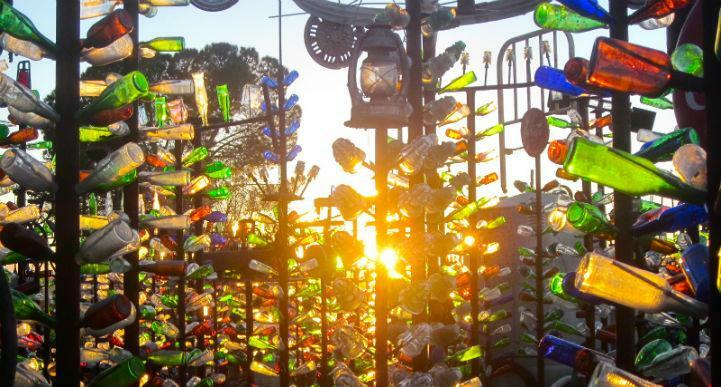 The bizarrely beautiful glass forest of Elmer’s Bottle Tree Ranch isn’t directly on your way but if you are curious to witness this haunting tribute to trash, a short detour will take you to this unique place. 200 hat rack like structures support thousands of glass bottles, making for a one of a kind outdoor art gallery. If you do choose to stop off and see Elmer and his bottles, you’ll rejoin the I-15 near Victorville. From there it’s less than an hour and a half to the heart of the City of Angels. After many miles you have at last reached the west coast. Although Los Angeles is still very much arid country it’s hard to notice because of the extensive irrigation throughout much of the city. As you continue on this leg of your journey however you’ll begin to notice a distinct change from low-lying desert to a milder coastal climate. 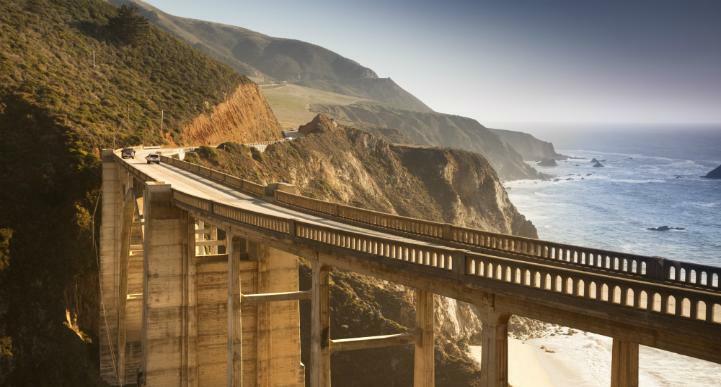 While you have left the magnificent rock formations and plunging canyons of Utah, Arizona and Nevada far behind you, coastal California has an entirely different kind of beauty on offer. *If you'd like to begin your trip in the City of Angels, simply pick up a Los Angeles RV rental and head out on your way! Los Angeles initially burst onto the world stage thanks to Hollywood and the silver screen, and much of the mystique that surrounds this city still comes from the booming movie and entertainment industry. There’s far more to L.A. than just the movie business however, as anyone who has visited the city can tell you. You’ll soon discover that there are a host of things to do in Los Angeles without ever needing to set foot in the Hollywood neighborhood. This massive, modern city has many intriguing sights and activities in store for those who know where to look. There’s no better way to get a feel for L.A. culture than heading down to the beaches. These are more than just places to relax in the sun and maybe catch a few waves - Los Angeles beaches are cultural microcosms where you can see a fascinating and sometimes bizarre kaleidoscope of humanity. 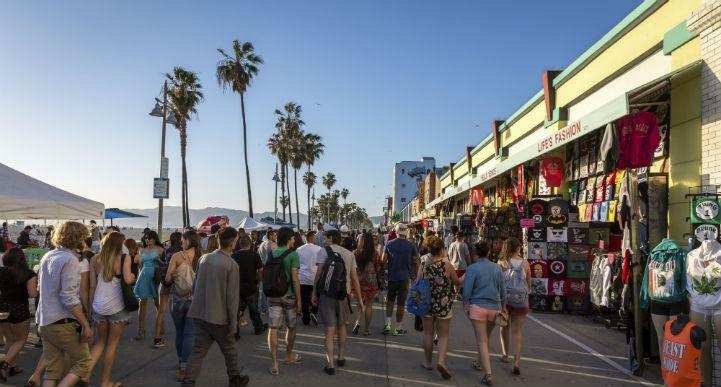 For the ultimate people watching experience, Venice Beach is the place to go. A stroll along the Venice Boardwalk will throw you amongst skaters and cyclists, gym bunnies and body builders, jugglers, magicians, comics and eccentric personalities of all different flavors. A more family friendly option is Santa Monica State Beach, specifically the Santa Monica Pier. The Pier is home to Pacific Park, an amusement park with a solar paneled Ferris wheel, video arcade, restaurants, trapeze school and an historic 1920’s carousel. The place has a buzzing, festival atmosphere to it that makes it perfect for an amazing family night out. For a beach that’s perfect for swimming and sunbathing (you know, those things that beaches are normally used for) head to Zuma Beach. Although surfers may be disappointed in the waves, boogie boarders and body surfers will find them ideal. The beach itself is a wide, clean patch of sand that tends to get quite busy on weekends and holidays. 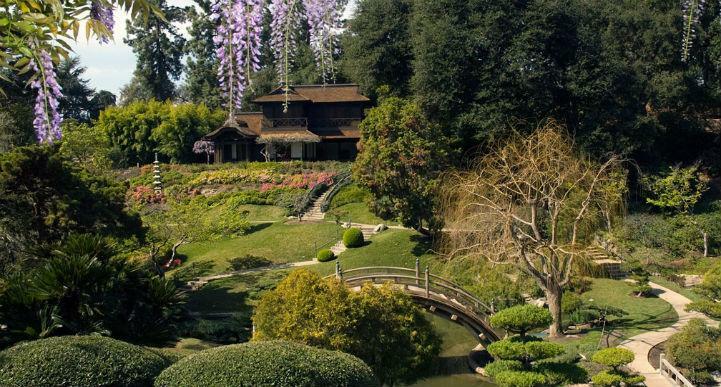 For an entirely different L.A. experience, head to Huntington Library. This attraction is effectively divided into two separate experiences - indoors and outdoors. Inside there are many important art pieces and some truly historic documents including a Gutenberg Bible (one of the first books in the world ever printed), two quartos of Shakespeare’s Hamlet and an extremely early copy of Chaucer’s Canterbury Tales. Surprisingly though, most people don’t come for what’s inside the library. Most visitors come to Huntington for the 120 acres of botanical gardens. The gardens are divided into more than a dozen different themes and showcase plants from all corners of the globe. There’s even a carnivorous plants wing! Whether or not you’re into plants, this is still an amazing experience. 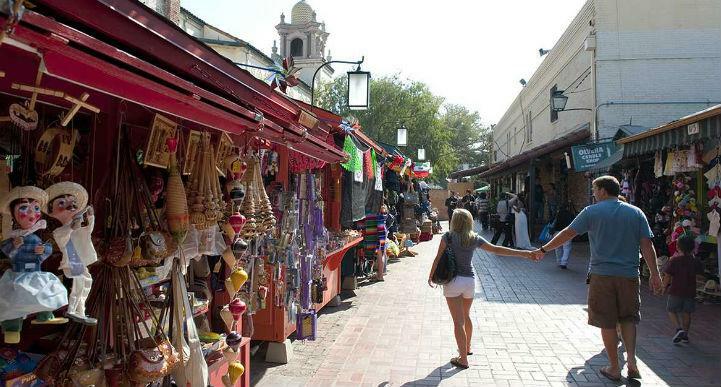 The City of Angels has a large Latino community, and one of the best places for visitors to immerse themselves in this culture is Olvera Street. This is the oldest part of Downtown Los Angeles, with many historic buildings from the 1800’s lining the street. Old houses aren’t the reason that masses of tourists visit this street every year however. They come for the romantic taste of old Mexico that the tree-shaded marketplace, complete with roving troubadours, provides. The colors are bright, the atmosphere is cheerful and the street food is delicious (and far more authentic than anything you’ll find in the vast majority of “Mexican” eateries). For those with children, there’s one place in the Los Angeles area that you really can’t miss - as the kids will surely remind you. Today there are dozens of Disney theme parks around the world, but the original was built right here. Disneyland has been running since the 1950’s and still retains its original charm. Older children may be disappointed in the lack of “thrilling” rides - a place like Six Flags Magic Mountain is better in that regard - but younger ones are sure to be drawn into the magic of the place. Summer is high season at Disneyland, so if you’re not willing to go shoulder to shoulder with masses of other tourists then you may want to give this place a miss in July/August. If you’re heading here in spring or fall however, you’re likely to find much smaller crowds and (just as importantly) shorter lines. Movie buffs will relish the chance to peek behind the scenes of some of their favourite films at Universal Studios. The theme park aspect of Universal Studios will keep kids entertained, while adults may be more interested in the Universal backlot tour where you’ll catch a glimpse of sets, props and locations used in various iconic films down the decades. Universal CityWalk is a fun destination that particularly comes alive when night falls - this is found just outside of Universal Studios, and requires no entry fee. The shops aren’t really anything out of the ordinary but it’s the street performers that lend the promenade its distinctive atmosphere. If you’re on a tight budget, this is the perfect place to come for some low-investment entertainment. If you need a bit of a break from the hectic hustle of the big city, it’s surprisingly easy to get to somewhere that feels a world away: Catalina Island. The island is still in Los Angeles County, but finding yourself on Catalina feels like you’ve been whisked away to the Mediterranean. The pace of life here is much more laid back, and the gorgeous surroundings will have you unwinding in no time. Glass bottom boat tours are a popular way to see the reefs and shipwrecks around the island, and both scuba diving and snorkelling are favorite pastimes here thanks to the clear waters and bright orange schools of Garibaldi, often spotted just off the coast. Keep an eye out for flying fish too - they’re found in great abundance in the waters off Catalina Island. You’ll need to catch a ferry to get across to the island. These leave from San Pedro, Long Beach and Dana Point. It could take weeks to explore Los Angeles to your satisfaction but eventually it will come time to move on from the City of Angels, curving northward for the first time in your journey. Around two hours out of L.A. you’ll come across the beautiful city of Santa Barbara. This city is large enough to capitalize on the beauty of the surrounding beaches and mountains and provide top-notch dining and attractions while remaining small enough to retain a certain charm that megacities lose out on. You may be only passing through, but it’s worth stopping in Santa Barbara for a meal or a walk along the coastline. If you do decide to stay a little longer, the zoological gardens make for a great family outing. For the adults, Santa Barbara wine country beckons, only minutes away from the city. If you have an extra day or two to spare, this is certainly an idyllic place to spend your time. From Santa Barbara, it’s about 1 hour 45 minutes up the 154 and 101 to reach the final destination for this leg, one of California’s oldest communities - San Luis Obispo. Your journey up to this point has been replete with spectacular scenery and enthralling cityscapes - it might be easy to think that there’s not much left that could compare to the highlights of your trip so far… but you’d be dead wrong. You are about to embark on one of the most praised coastal road trip routes on Earth, and visit one of the world’s most culturally vibrant cities. There is much, much more for you to discover on the final leg of this itinerary. *If you're considering taking this trip in reverse order, it's as easy as picking up a San Francisco RV rental. After the big city lights of Las Vegas and Los Angeles, San Luis Obispo County is likely to come as a welcome change of pace. The relatively small city of San Luis Obispo (just San Luis to locals) lies at the heart of the county and is a great place to base yourself as you explore the surrounding countryside. Make sure you do get out of the city to explore, as there are many interesting places and experiences waiting within a short drive from the city. San Luis Obispo County is a haven for lovers of the outdoors. There are many different hiking trails for a whole range of fitness levels, many of which provide expansive views over the surrounding countryside. Bishop Peak offers some of the best views over downtown San Luis. The climb is moderately steep, so you’ll want to be at least a little bit in shape to tackle this hill but providing you can make it to the top, the scenery will more than reward your efforts. A little further away from the city is Montano De Oro State Park. This coastal park is truly beautiful, especially in spring when the wildflowers bloom, and offers many different walking trails, from easy to moderate difficulty. You don’t have to leave the city to find interesting things to do though. The Madonna Inn is a famous local landmark that has been around since the 1950’s. Known for its pseudo-Swiss Alps facade, elaborately themed rooms, and rock waterfall urinal, the motor inn has been immortalized in movies, TV shows and music videos. Bubblegum Alley is another well known tourist attraction in the city. No one quite knows how it got started, but by the 1970’s this alley lined with thick layers of chewing gum left by passers-by was well established. Several attempts to clean the alley have failed, and to this day it remains one of SLO’s most iconic locations. San Luis Obispo County is also well known for its wine country which produces some of California’s finest pinot noirs and chardonnays. Several different companies offer shuttles to take visitors on wine tours around the coastal SLO wine region - if you’re at all partial to a vino or two, this is an opportunity that should not be passed up. Less than an hour up the coast from San Luis Obispo is the small town of San Simeon. While the town itself is not particularly noteworthy, there are two attractions here that make it well worth stopping in San Simeon on your way northward. Built on a hill overlooking the San Simeon area is the legendary Hearst Castle, formerly owned by powerful newspaper magnate William Randolph Hearst. In its heyday, this group of mansions hosted many elite personalities including Charlie Chaplin, Clarke Gable, Franklin Roosevelt, the Marx Brothers and Winston Churchill. 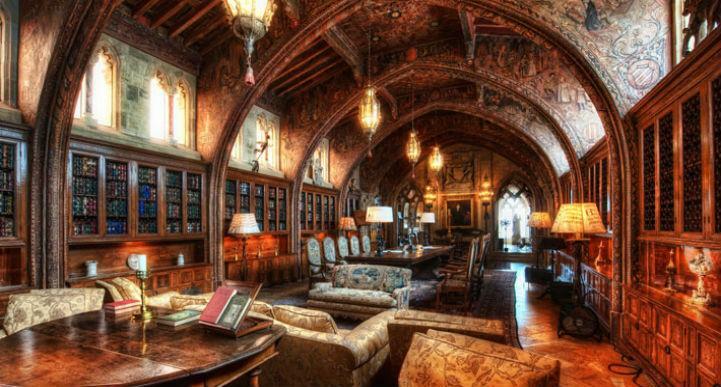 No expense was spared in the creation of Hearst Castle - in fact, much of it is made from architecture brought back from Europe (notably ceilings from churches and monasteries) and pieced together to create this opulent getaway. A tour of Hearst Castle is a must while you’re in the area; the sheer extravagance on display has to be seen to be believed. The other attraction to look out for while you’re in San Simeon is the elephant seal colony 11 kilometres north of the town. Seals can usually be seen on the beach just south of the Piedras Blancas lighthouse year round, though late January, April and October are particularly good viewing times. There’s no charge to see these massively magnificent mammals - head to the Elephant Seal Boardwalk for the best view. As you continue along the coast, you’ll pass through the area known as Big Sur. This section of your journey is widely regarded as one of the most scenic routes in the United States, if not the world. The sparkling Pacific Ocean stretches away to your left while dense evergreen forests arise to your right. Much of the route traces its way along clifftops, allowing majestic views of the seascape far below. This city, about 2 and a half hours from San Simeon, marks the end of the Big Sur region and is a convenient place to stop for a rest before the final push through to San Francisco. While you’re in town, Monterey Bay Aquarium is well worth a visit. The aquarium features more than 600 different species of sea life and is one of the world’s few aquariums to hold the ocean sunfish. There’s even an Outer Bay wing which provides an open sea gallery looking out into Monterey Bay. Another hour and a half will bring you into the city of San Jose. The third-largest city in California and capital of Silicon Valley, San Jose is a thriving modern metropolis that’s riding the wave of the booming tech industry. It’s not just business that sets this place apart though - this global city offers a plethora of opportunities for holidaymakers and tourists too. Looking for a little retail therapy after the long drive up the coast? Head to Santana Row, the “it” place to be in San Jose with numerous designer retailers and top-notch eateries. Those with a penchant for shopping could spend a whole day here, roaming from store to store, stopping only to eat a delicious meal. Keeping the kids happy after all that travel will be top priority for some, and one of the best places in San Jose to take the whole family is the Rosicrucian Egyptian Museum. Even though you’re about as far from Egypt as you can get, this museum has an exceptional array of authentic ancient Egyptian artifacts, from mummies to statues to 18th Dynasty coffins. Both entertaining and educational, adults and children alike will love diving into the history of this renowned civilization. If you’re merely wanting to unwind from your travels and soak up a little serenity, the Municipal Rose Garden is the place for you. This 5.5 acre garden (located in the aptly named Rose Garden neighborhood) features 189 rose varieties and is widely praised for its beauty and peaceful atmosphere. Once you leave San Jose you will at last be within striking distance of your final destination. Less than an hour and a half will bring you to the beautiful, strange, eclectic, vibrant and altogether wonderful city of San Francisco. You couldn’t hope for a better way to round off your west coast road trip than winding up in San Francisco. This multifaceted city has justly earned its reputation as one of the world’s top urban travel destinations. The cutting edge nature of the city is reflected in sheer amount of wildly successful next-gen companies based here: Reddit, Twitter, Craigslist, Pinterest and Airbnb are just a few of the household name businesses with headquarters in this city. It’s not the business side of the city that draws masses of visitors to Frisco every year though. Read on to discover the San Francisco attractions that you need to experience to get the most out of your time here. For the perfect overview of the city, jump aboard a moving historic landmark: one of San Francisco’s iconic cable cars. Not only is this a fun, easy way to see home of the city’s major landmarks, you’ll also have the distinction of riding the world’s last manually operated cable car system. Established between 1873 and 1890, the cable car network is an integral part of San Francisco and no visit here would be complete without at least a brief ride on one of the cars. If you’re keen to learn more about their history, you can hop off at Mason and Washington streets to have a look around the Cable Car Museum - you’ll even be able to see the giant wheels turning underground cables that power the cars. There are myriad things to do in San Francisco itself, but to get to Frisco’s most popular attraction you’ll need board a ferry and head out into the middle of San Francisco Bay. 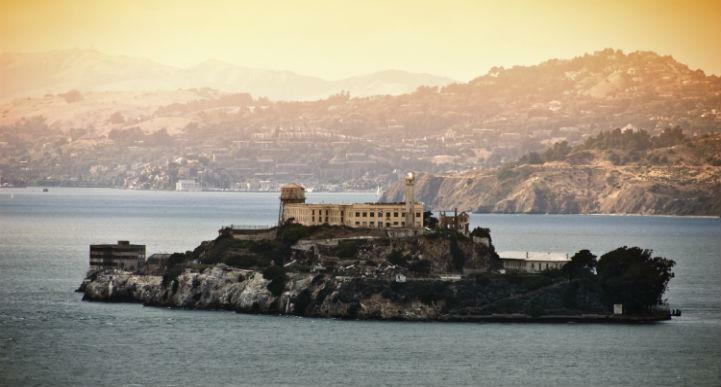 The former fortress-prison of Alcatraz lies 2.4 kilometres offshore from the city; surrounded by the cold, hazardous currents of the bay, its isolation made it a near inescapable stronghold. Today however the island is far from inaccessible, with tours to Alcatraz proving to be a smash hit with tourists from across the globe. Learn about the Native American occupation of the island in the 1970’s, take the harrowing audio cellhouse tour (narrated by former inmates and guards), and delve deep into the history and lore of this fascinating place. When it comes to San Francisco tours, this is the crème de la crème. Just be certain to bring a warm jacket with you - no matter what the season, heavy fog and strong winds are common. There are few better ways to immerse yourself in a city’s culture than sampling the dishes it’s famous for. In San Francisco, that means chowing down on a Mission Burrito. This massive helping of meat, beans, cheese, guacamole and salsa wrapped in a steamed tortilla might just fill you up for the rest of the day and will certainly satisfy your Mexican cuisine cravings. Opinions are divided on where to find the best Mission Burrito (ask any San Fran local and they’re likely to give you their impassioned opinion on the matter) but many say that the best place to go is La Taqueria on Mission Street. Don’t take our word for it though - sampling burritos from a couple different places over the course of your stay is a worthwhile and very tasty exercise. Of course, one of the most recognizable images of San Francisco is the Golden Gate Bridge. This is the most photographed bridge in the world, and it’s easy to see why. This visually distinctive wonder of engineering stretches for 2.7 kilometres across the Golden Gate strait. To get up close and personal with this marvellous structure, you can choose to walk or cycle across it. Opening hours vary between the East and West sidewalks, so it pays to double check before you set out. Even if it’s a sunny day, windchill can bring temperatures on the bridge down to icy lows so make sure to wear appropriate clothing. If you’re a sports fan, a visit to AT&T Park is a must before you leave. Even if baseball isn’t really your thing, just soaking up the atmosphere of a game in this stadium is well worth the admission price. This is the classic American “ballgame” experience at its best - book ahead to snag the perfect seats or head along at the last minute (even halfway through the game) to pick up ‘standing’ tickets for cheap if you’re not that fussed about the game itself. Either way, your time here is likely to be unforgettable. For those seeking a foodie heaven, look no further than the Ferry Building Market: every Tuesday, Thursday and Saturday local farmers and artisan food purveyors offer a dazzling selection of fresh produce and gourmet delicacies. Head along early to get the most out of the market as most stalls will be closed by 2pm. If you go on Saturday you’ll also find an open-air artisan market where you can browse jewelry, art, clothing and more. The Ferry Building Market is massively popular with locals and tourists alike; if the idea of mouth watering gourmet morsels and fresh local produce appeals, get yourself down there at all costs. From the sun baked salt flats of Utah to the scenic coastlines and cityscapes of Northern California, this trip will take you through some of the most striking landscapes and famous cities in the world. When you’re hunting for a road trip that epitomizes “epic” and fairly bursts with variety, it’s hard to do better than this. And while all good trips must come to an end, this is a journey that will leave you with stories to tell and memories to share for many years to come. Warm jacket (even in summer) for Alcatraz and the Golden Gate Bridge.